Billabong Gardens is a warm and friendly 'home' just metres to the main street of Newtown, (King Street), full of sensational restaurants, cheap eats, funky cafes, eclectic shops and the best nightlife in Sydney - great bars, theatres and live music venues are everywhere. It is here that you will meet true Australians and not just more backpackers. At Billabong Gardens we offer a choice of private rooms and 4-6 bed dorms with or without private bathroom. 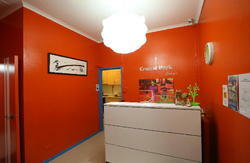 Our hotel is super clean and has great facilities geared for the needs of the budget traveller. From a fully equiped kitchen to free internet and low-cost Wi-Fi, Billabong has it all, even a tropical courtyard with a pool where you can dine under the stars or unwind at the end of a hectic day in the city. 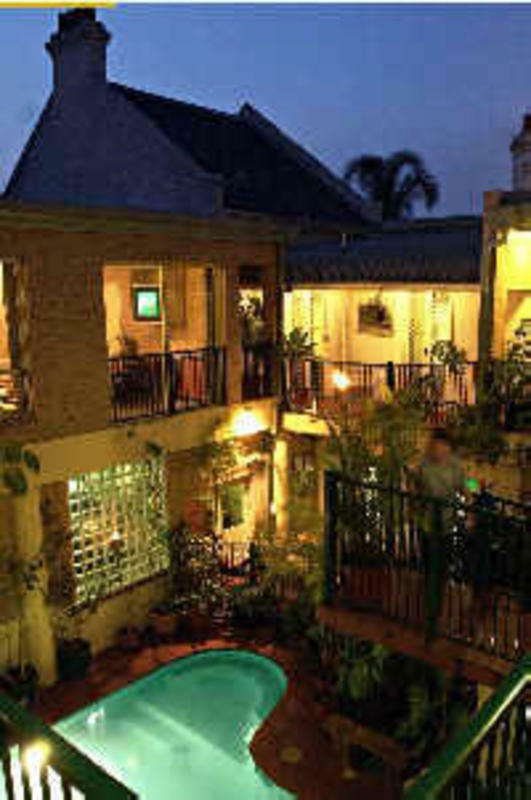 If you're thinking about staying in town for a while, Billabong Gardens might be the ideal solution. With our amazing weekly rates and long term and winter specials, it is no wonder that so many working travellers and students call the Billabong home. So come and relax by our swimming pool, choose from our excellent 4 or 6 bed female only or mixed dorms or your own private room and find out what it's really like to live in the real Sydney. Anything else and your just visiting! Take a train to Newtown Station, (3 stops from Central). On exiting the station turn right and walk 4-5 minutes until you reach Brown Street. Directly opposite is Egan Street. Billabong Gardens is just 50 metres up Egan Street. If there are two or more of you travelling, take a taxi to the corner of Egan and King Street, we're only 50 metres up the road from King Street and a taxi will be an easier and cheaper option ($25-35 depending on traffic).